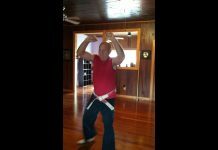 Legendary Jim ‘Ronin’ Harrison is one of the infamous “Magnificent Seven” and a member of the elite “Dirty Dozen”, Jim Harrison needs no introduction to anyone who has had even a passing interest in the martial arts over the past four decades. Called ”one of the most dangerous men in the world” by Bruce Lee and known for his notorious battles during the unforgettable “Blood-n-Guts” era of American karate, Jim Harrison has been called the closest thing to a modern Samurai the 20th century can produce. 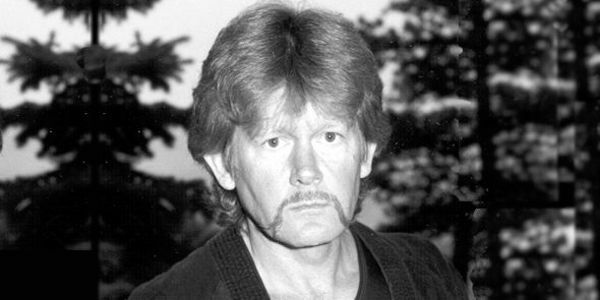 Jim Harrison, a former Special Operations police officer in St. Louis who served on a ‘Special Violence Squad’ that was sent into the ghettos after the most dangerous criminals, was an AAU Regional Judo champion, 3-time U.S. Karate Champion, 3-time All-American Grand Champion, undefeated U.S. light-heavyweight Kickboxing Champion, and coach to the undefeated 1974-76 U.S. Professional Team. At the age of 63, Mr. Harrison won the National Masters Judo Championship and placed 3rd in the Masters World Championships in 1999. Ask almost any karate veteran whom he would least like to meet in the ring and he would probably say “Jim Harrison”. Mr. Harrison has trained U.S. Special Forces, Rangers, SEALs, Marine Recon and Delta Force and served in a para-military SAS (Search and Destroy) unit that undertook missions in SE Asia during the early 1970’s. 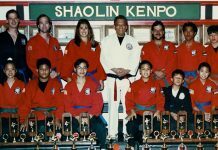 He provided personal security for Chuck Norris, Linda (Mrs. Bruce) Lee and Prince Mikhail Matijasevic, was awarded a Ph.D. (Research, Analysis & Instruction) by Yudanshakai University, and was inducted into the International Karate Hall of Fame with Chuck Norris and Bruce Lee. He is the founder of Bushidokan, Ronin Jutsu and Sakura Warrior Arts. Born in 1936, the tough Jim Harrison was a major force in the early competitive environments of both Judo and Karate in the U.S. and a genuine Triple Crown – a champion in Judo, Karate and Kickboxing. 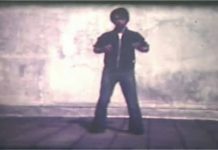 Harrison won numerous titles including the first ever full-contact kickboxing match held in 1970 U.S. Karate Championships. Among his many legendary fights, one of the toughest on record was his match against Fred Wren for the United States Karate Championships in 1969. Harrison also held the first Professional Karate Championships at his Dojo in Kansas City, 1968. This was a heavy contact, no pads competition that drew six of the toughest fighters of the time, Joe Lewis, Bob Wall, Skipper Mullins, Pat Burleson, David Moon and Fred Wren. Both Burleson and Moon had their ribs broken during the competition. Moon, with broken ribs, finished the final fight with Joe Lewis. The winner, Joe Lewis, besides the title of being the first Professional Karate Champion, earned one dollar for his efforts. Jim Harrison was known for both hitting hard and taking hard hits. 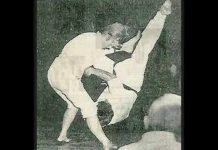 Perhaps the most feared of Harrison’s abilities was his Judo ability. 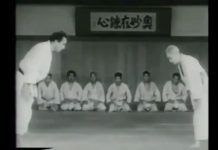 Karate fighters who had not learned to fall had much to fear when facing Jim Harrison who was known to frequently dump his opponents with judo throws throughout the match. Harrison, one of the toughest and hardest training competitors of his day was also known for many impressive and dangerous breaking feats, including shattering, with a shuto strike, a bottle full of gasoline with a lit wick that erupted into a ball of flame. During Jim Harrison’s 1970 , first ever, full-contact bout in Dallas, Texas, he received a cut from a glove lace over his eye. Attempts at taping failed to stop the bleeding, finally, between rounds a physician came into the ring, and without anesthetic stiched the wound over Harrison’s eye. Harrison calmly laid on the floor of the ring during the stitching without a flinch, then went on to win the fight with a knockout. As one veteran fighter said, “One of my ambitions is to knock Jim Harrison down and keep him down.” It has never happened. Perhaps his most legendary feat of toughness was when as a police officer, he was ambushed by an ex-con who came out of a bathroom stall and fired a high caliber pistol at Harrison through the bathroom stall door, striking him several times in the chest. Harrison and his partner managed to subdue his attacker before passing out from his wounds. The wounds, very serious in nature, kept him down for a while, but he recovered and came back stronger than ever. 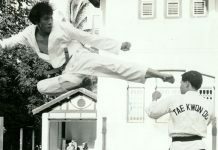 A member of the elite USKA Trias International Society, Harrison has garnered membership in the Official Karate Magazine’s 1979 Legion of Honor. Jim Harrison began his karate training in shorin-ryu under St. Louis, Mo. Karate pioneer jim Wax under whom he received his black belt. Harrison continues a long and successful career as teacher, coach, competitor, and promoter. Jim Harrison was and still is the voice of truth and continues to be known worldwide for his candor. Concerning all phases of martial arts, including but not limited to, training, teaching, coaching, as well as competing, he is a man of strong, honorable and uncompromising convictions. Agree or disagree, he makes his stand and is willing to live or die by it. Besides instructing his practical and effective street survival techniques and tactics worldwide, his Sakura Warrior Arts school in Missoula, Montana continues training in modern weapons, bow hunting, camping, kayaking, climbing and rappelling, and alpine/nordic/para-skiing. In 2001, Jim Harrison was recognized as a Hanshi of U.S. Jujitsu and promoted to the rank of 9th Degree Black Belt in US Jujitsu and US Taiho Jutsu by the United States Jujitsu Federation (USJJF), The National Governing Body for Jujitsu in the United States of America. In February, 2005 he was awarded 9th Dan in traditional Kodokan Judo by the USJJF.